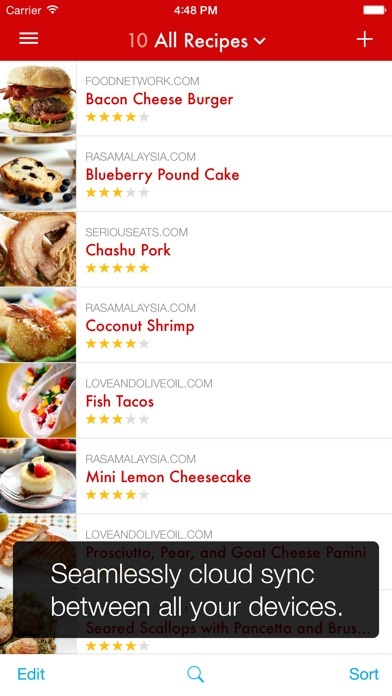 This is by far the best app that I have found for storing and accessing your own recipe collection. 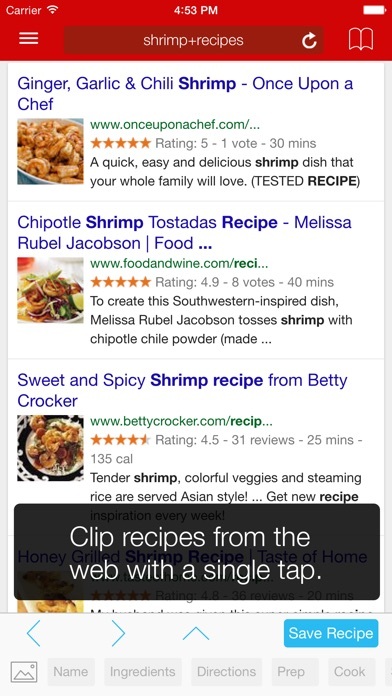 One of my favorite features is the app's ability to grab a recipe from almost any web site, and save it for you. It finds the ingredients list, directions, etc., and stores them in the appropriate places, eliminating a lot of work. I used to have to copy and paste all of the pieces separately, but not any more. A lot of thought has gone into making this app easy, and it's loaded with features—the ones that are the most useful. I like this app. I really do. As an avid home chef, it's very useful, well laid out and easy to use. Why only two stars? That's because I have to buy it for each and every device I own. I purchased the app before I got an iPad and was using it with my iPhone. I understand that it takes work to create versions that work on an Android or Windows due to the drastically different operating systems, but my phone and iPad have the same IOS version. The only difference between the my iPad and iPhone is the screen size. No other app requires me to buy two versions. The whole point of Apple's design is the usefulness of staying within their ecosystem. I don't mind paying for useful apps, but this is just greed. But here I am, doing it for free. I bought four apps looking for the "perfect one"; this is it. I subscribe to a well know cooking shows all access program to their sites. I will not do that next year. I’ve gone to their site and easily downloaded every recipe I think I would ever want. Adding your own is just as easy. Other reviewers have said it better than I. My only "hmm" was I originally purchased it on my iPad. When I tried to download it on my phone I had to purchase it again; I’ve never had that happen before, but decided it was worth it. Very nice app with ability to take in recipes from the internet, change proportions (albeit if the recipe is written in the app a particular way) and make grocery lists. The app hasn’t updated it’s UI in a long time and feels kind of dated. Overall, very good features and one of the best out there, but that doesn’t mean it couldn’t be better. I love this app. It was a game changer for me in recipe organization and meal planning. Totally worth it to get for your smartphone and computer. Buy this! Worth every penny. 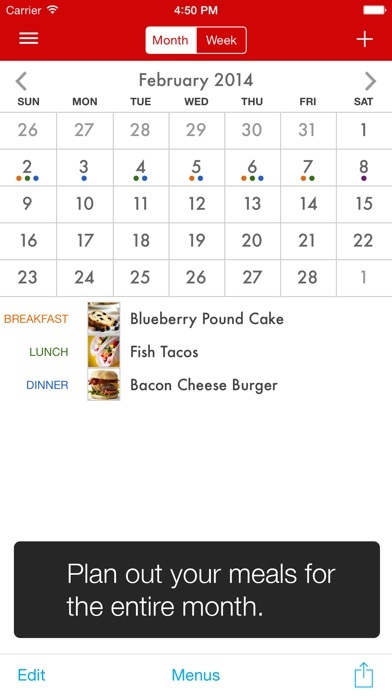 This app has completely transformed the way I plan meals! This is what I do. Upload the recipes I like to the app Put the items from recipes in my cart on the app with one click Go to Kroger click list and order the groceries Go pick up groceries Make meals! doesn’t pull recipes off of safari like it used to, not nearly as convenient and efficient for me anymore. Hope they fix it, especially considering it is a paid app. hands down the BEST RECIPE app available!!! i have to be highly impressed before i take the time to review an app. this app meets all expectations. seamless synching between my iphone and ipad - no issues. 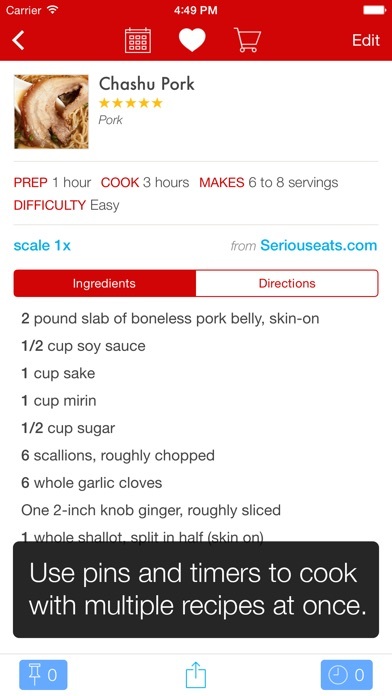 does an amazing job of saving recipes into the app db from other sources. what may not be captured by the save function is very easily edited from within the app. absolutely logical in use and provides over the top functionality. highly recommend. I hate it when a developer upgrades an app and makes it more difficult to use. Pretty much defeats the purpose of an upgrade. You used to be able to go into your grocery list and tap on the microphone and say an item and hit return and hit the microphone again and keep repeating the process to add items. But now in the latest version, the keyboard disappears so you can’t hit return. Instead you have to tap on the keyboard icon to get the keyboard back which adds another step to the process. Please put this back the way it was. It’s my own fault for not paying attention, but paying $5 for an app and then needing to buy it again at full price for my iPad is usurious. I’ll be deleting and finding something perhaps inferior but without the need to purchase twice. I've been using Paprika for about 4 years! While most people use this as a recipe manager for cooking, I simply built out my categories for spirits and drink modifiers. 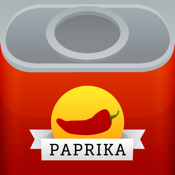 Our bar program has been running on Paprika ever since I picked up the app. Downloading the app and sharing our recipe book is the final step of our training process. Thanks y'all!